Mills County Sheriff Clint Hammonds reported numerous arrests and calls for service. On November 25, 2016 at approximately 3:55 PM Mills County Sheriff's officials along with Texas Department of Public Safety troopers responded to a report of a vehicle that had struck a fixture and then left the scene of the accident. While law enforcement officials were responding they received another report of the same suspect vehicle striking another vehicle on US 84 west of Mullin. 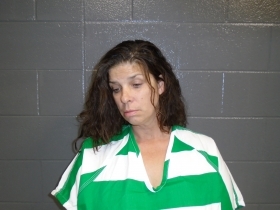 Law enforcement officers arrived on scene and arrested 48-year-old Terri Joy Baker of Belton Texas for felony intoxication assault with the vehicle resulting in serious bodily injury, duty on striking a fixture in failure to stop and render aid a third-degree felony. On November 28 the Mills County jail received 23-year-old Eric Wayne Murphy of Lake Jackson Texas for the offense of failed to appear on a resisting arrest charge as a result of a previous investigation. Then on November 29, 2016 at approximately 1:54 PM 25-year-old Valori Ann Shelton of Goldthwaite was arrested on a warrant for the offense of theft of property over $100 but less than $750. Mills County Sheriff's office investigators have been working a burglary of a residence inside the City of Goldthwaite. As a result of the deputy’s hard work and persistence, on December 1, 2016 at approximately 9:45 AM 19-year-old Tyler Tindell was arrested and charged with a second-degree felony burglary of a habitation. Tindell has since been released on bond and is currently awaiting trial. On December 6, 2016 at approximately 10:49 AM Mills County Sheriff's deputies executed a warrant on 29-year-old Taylor Alan Smith of Mullin for the offense of burglary of a habitation with intent to commit a felony. This charge is a result of a call earlier in the week were deputies responded to a report of an individual that entered a residence without consent of the owner were a gun was produced during the altercation. Luckily during the altercation the gun did not discharge and as a result of the assault there are only minor injuries. Smith has since been released on bond and is awaiting trial. On December 9, 2016 at approximately 8:40 PM Mills County Sheriff's office responded to a report of a possible intoxicated person in a business on US 84 west of Goldthwaite. Information relayed to the Mills County dispatcher was that the individual had been driving around in circles in the parking lot and occasionally stopping and getting out in the parking lot and dancing around his vehicle. Deputies arrived on scene and located the individual and identified him as 53-year-old Robert Dale Young of Hamilton Texas. 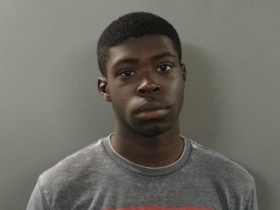 Young was arrested and charged with the offense of public intoxication and placed in the Mills County jail. As a result of County court on December 7 at approximately 11:20 AM 43-year-old Shannon Doyle Bird of Salt Lake city Utah was taken into custody for the offense of bail jumping and failed to appear on the unlawful possession of a firearm by a felon. On December 18 at approximately 9:16 AM Texas Department of Public Safety troopers responded to report of an individual inside of a vehicle on County Road 312 that was possibly intoxicated. As a result Texas Department of Public Safety Troopers arrested 21-year-old Chase Robert Hoyer of Goldthwaite for the offense of driving while intoxicated and unlawful carrying of a weapon. Hoyer has since been released on bonds and is currently awaiting trial. Sheriff Clint Hammonds and the staff of the Mills County Sheriff's office wish you and your family a very Merry Christmas and a Happy and Safe New Year. Copyright © 2015 | Mills Country Sheriff's Office | All Rights Reserved.